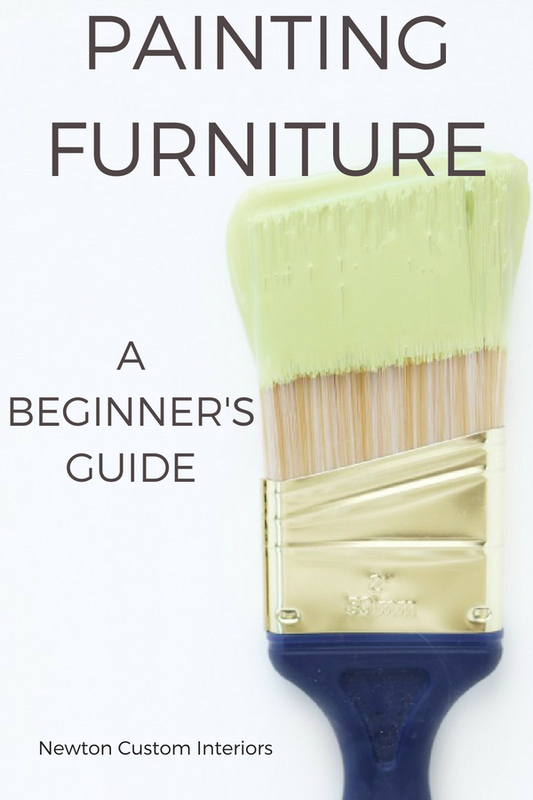 I’m sharing a detailed beginner’s guide to painting furniture. 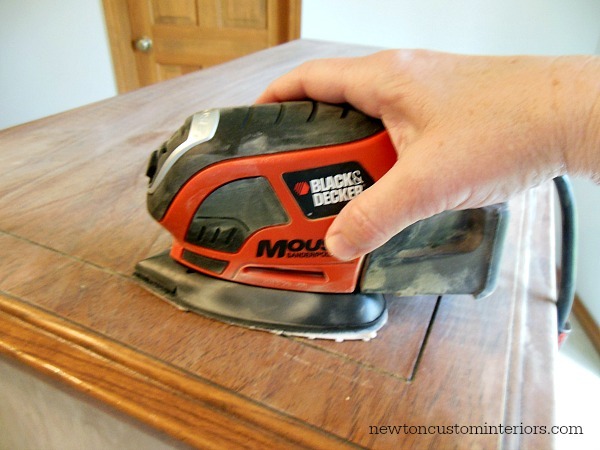 Painting is a low cost way to update your wood furniture quickly! Over the last few years, I’ve painted a lot of furniture! I’ll be the first to admit that I’m not a furniture painting expert, but I do feel like I’ve learned a lot through the process of painting most of our oak furniture and cabinets. 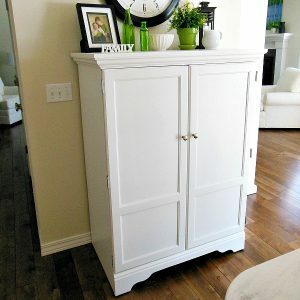 I couldn’t afford to buy all new furniture after we did our home remodel, so painting our old wood furniture was a low-cost way to update it. 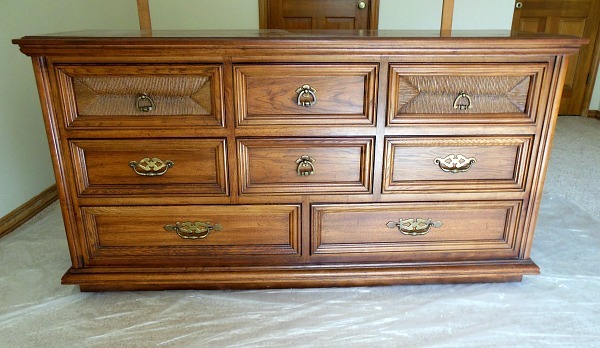 This is one of my favorite painting furniture projects – our master bedroom dresser. I love how it turned out! Painting all of the dark oak furniture in our bedroom really lightened up our room. 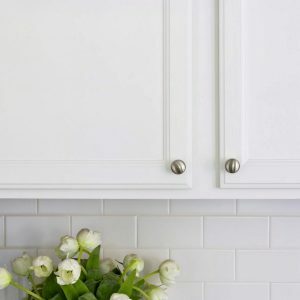 The most important thing that I’ve learned about painting furniture is this – the tools and supplies you use for painting furniture make a big difference in the quality of your finished painting project! 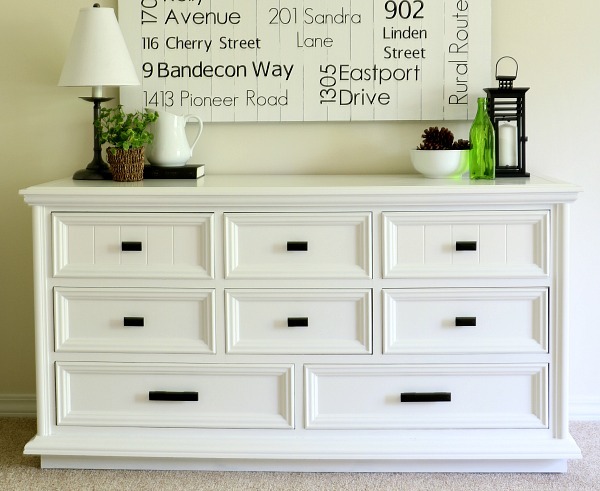 If you’re a beginner at painting furniture, using the correct painting tools and supplies will make your job so much easier, and will give you a much better end result. Over the years, I’ve figured out which painting tools and supplies work best with the furniture paint that I’m using for each project. I have two different types of paint that I like to use – Benjamin Moore’s Advance paint and Pittsburgh Paints Breakthrough paint. These paints are very different from each other. The Advance paint is thick and takes a long time to dry (16 hours). 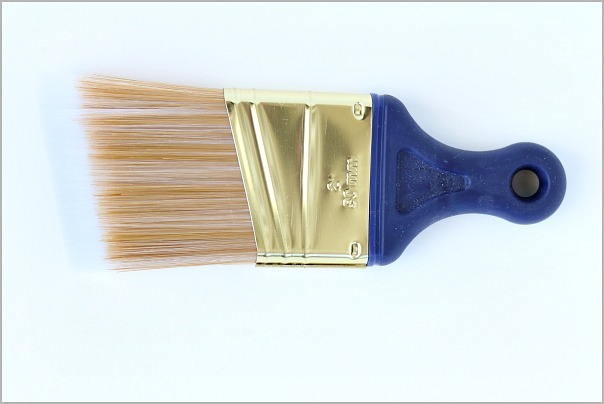 The Breakthrough paint is a thinner paint and only takes 2 hours to dry. Because these two paints are so different, I’ve found that I need different types of paint rollers for each one. Each of the paint rollers is listed below. Please read and follow the directions for all of these tools and supplies! Also, if possible, prep, prime and paint outside. Safety goggles – To protect your eyes when sanding with a sander. Benjamin Moore’s Advance paint – This is the latex paint that I first used for some of our furniture. It is a very durable paint, but it does take a long time to dry. Because it takes so long to dry, it levels itself and you end up with a very smooth finish on your furniture. Pittsburgh Paint’s Breakthrough paint – For most of my more recent projects, I’ve started using this latex Breakthrough paint. This stuff will stick to anything, and is very durable. The other plus to it is that it dries very quickly. ooster Big Green foam roller and handle – This is the roller that I like to use when I’m painting with the Benjamin Moore Advance paint. It doesn’t seem to work as well with the Breakthrough paint. Mineral spirits – I use mineral spirits to clean my brushes and rollers that are used with the oil-based primer and the polycrylic. WHEW! Congratulations, you made it through the whole post! I hope you enjoyed this beginner’s guide to painting furniture tutorial! 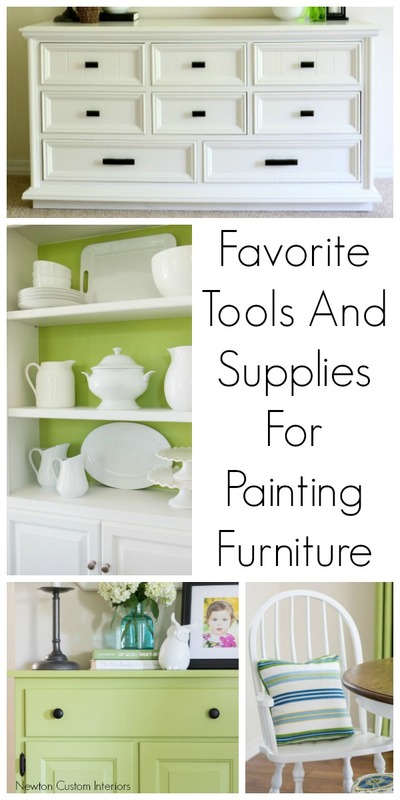 Do you have any tools and supplies for painting furniture that you love? Beautiful job ! 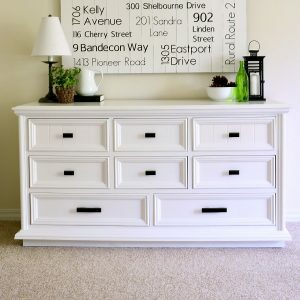 love the knobs on this dresser. This step by step guide is so great. You make it look so easy. Thanks so much for sharing your amazing talent with us all. Thanks for your kind words Kristi! Great guide with lots of really important steps and items which I tend to skip sometimes. It is a latex paint.